As you will have realised by now we are really enjoying getting out on the bikes and exploring the area around our new home. Despite having visited the area for almost more years than I care to remember we are always finding new routes & villages to potter around. 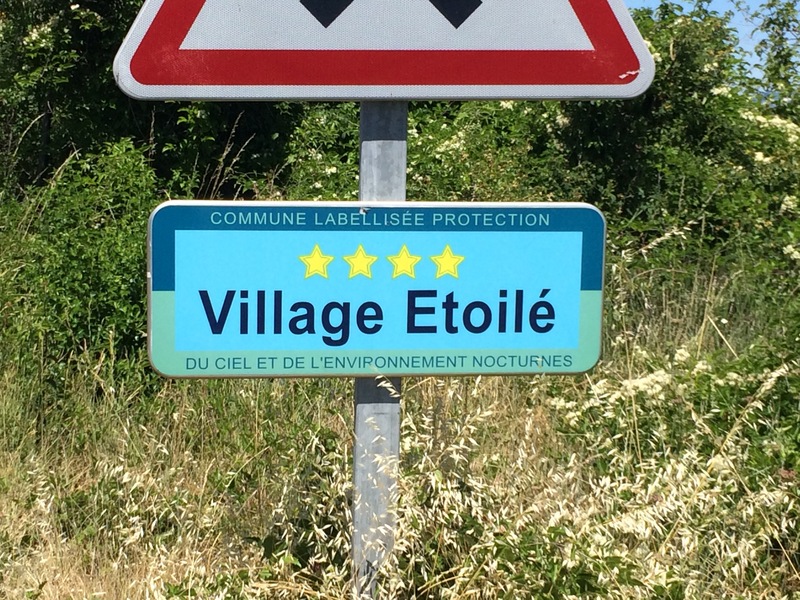 We’re really lucky as the Veloroute du Calavon runs across the end of our road & means we have quick, traffic-free access to wherever we want to go, following the Veloroute until we can turn off onto the quiet back lanes to reach our destination. 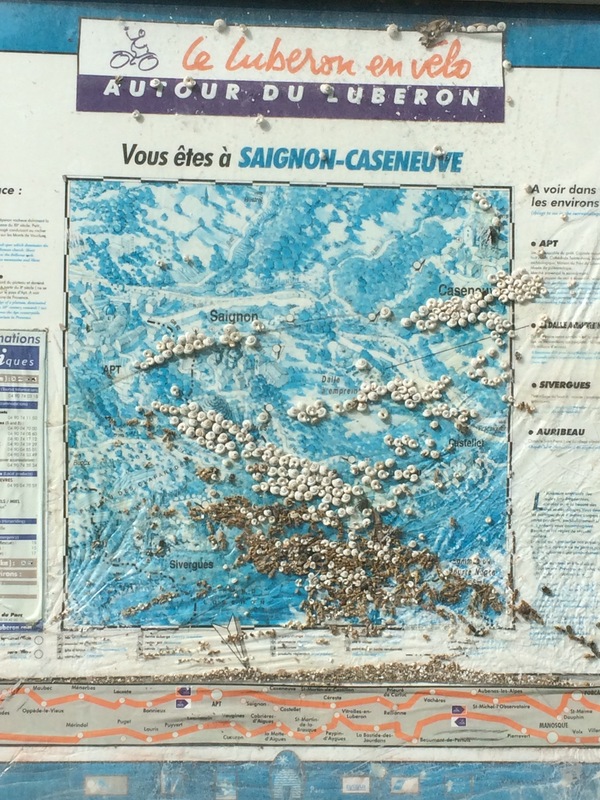 The cycle route map at the end of the road with the Luberon marked out in dead snails! 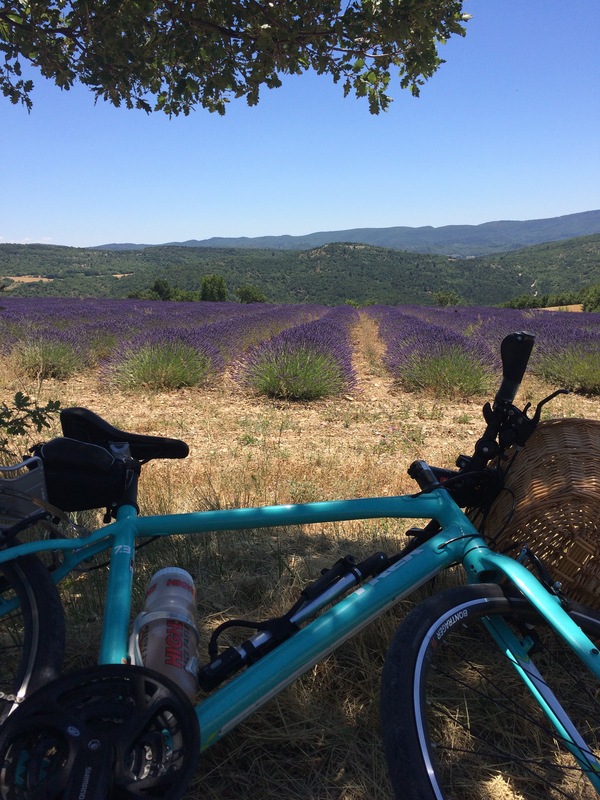 This is how my ride started last week, when I thought I would do a short ride just as far as Roussillon. However en route to the Veloroute I changed my mind and decided to head the opposite way for a coffee in Cereste. Now I’m not really known for changing my mind, as usually I have a plan and stick to it, but this time it was certainly the right thing to do. 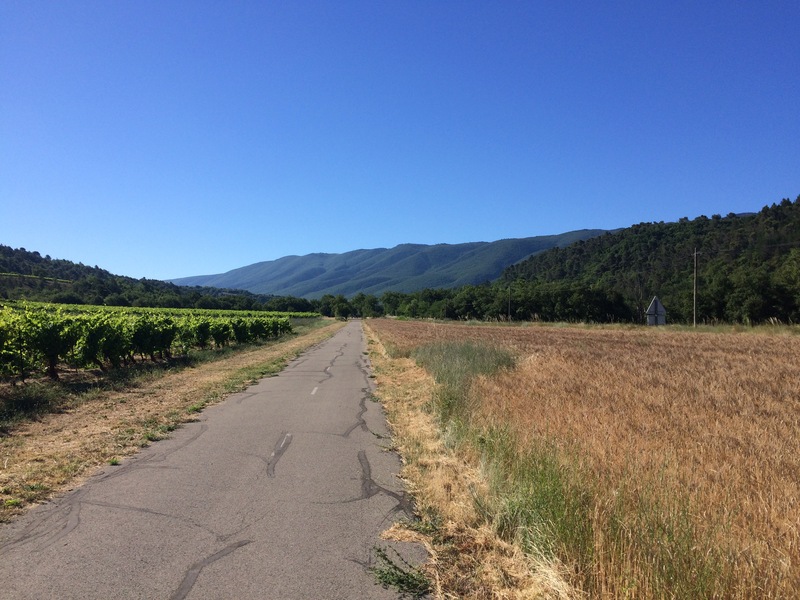 I love the ride along the empty lanes that run along the flank of the Grand Luberon to Cereste and it was the first ‘Beyond the Veloroute’ ride that I did. 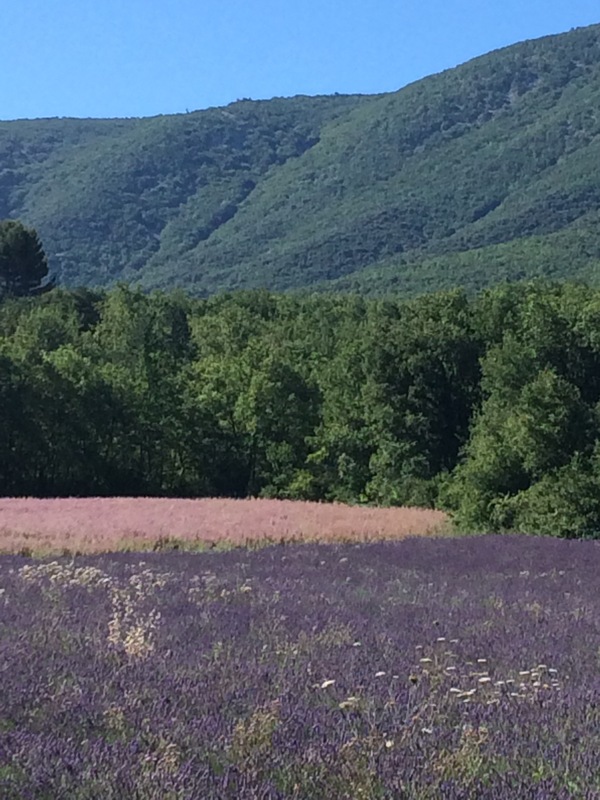 This time though the fields were filled with Lavender & Sage in full flower, seemingly vying each other to fill the air with scent, with (more often than not) the pretty pale pink & purple of the Sage flowers winning the battle. 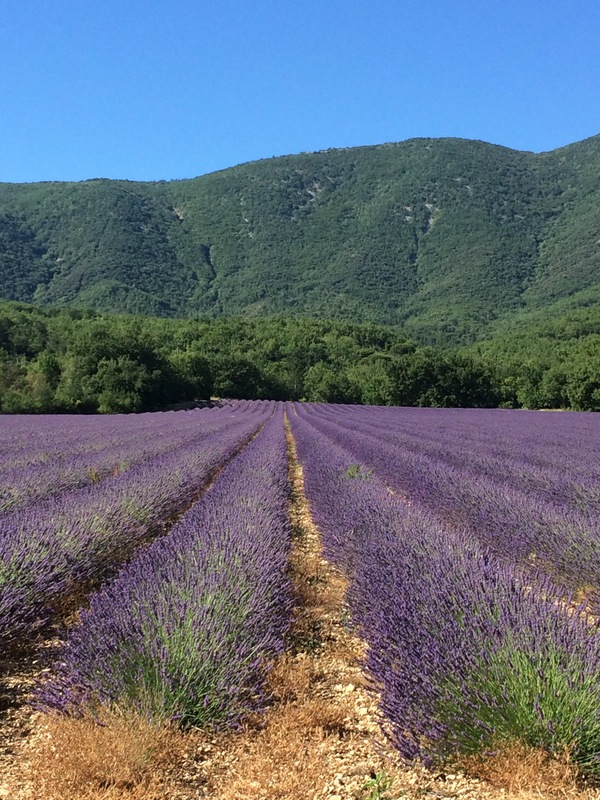 At one point the lane runs through the middle of a vast lavender field, which was simply alive with the sight & sound of so many butterflies & bees – just lovely. 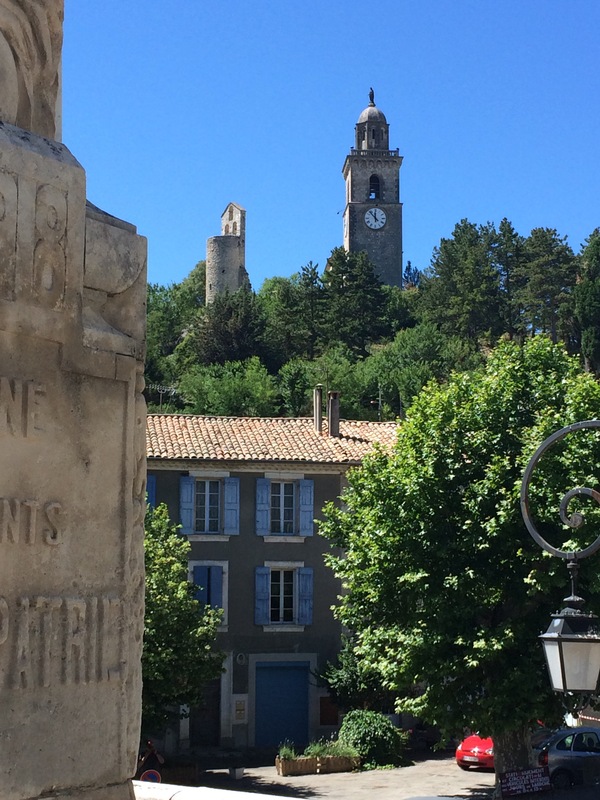 My first thought had been that I would just have a coffee in Cereste, before heading back, but whilst I sat in the cafe, marvelling at how an old advertising thermometer was gradually being ‘absorbed’ by the trunk of a large Plane Tree, I changed my mind again and decided to head a little further along the round Luberon trail to see what it was like. 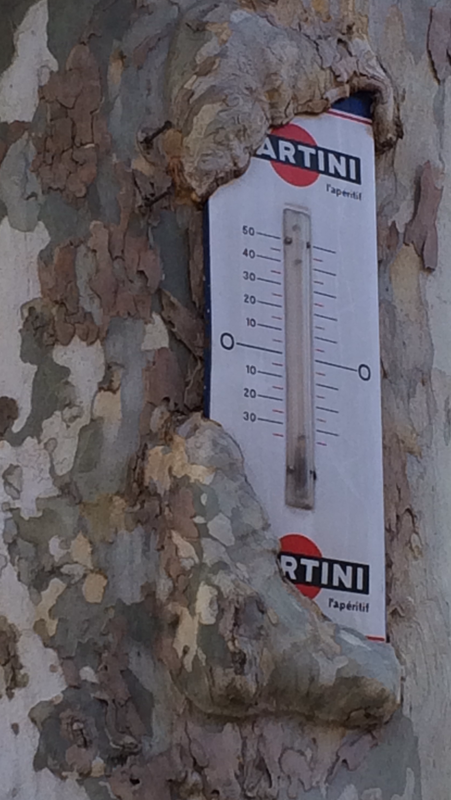 I wonder how long it will take for this to be totally absorbed by the tree? 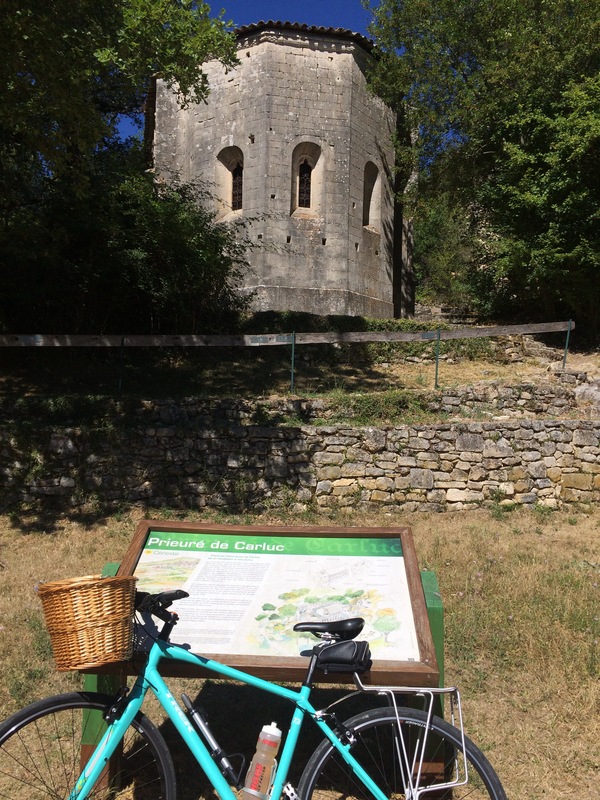 Refreshed by my coffee & a rather nice Pain Au Raisin, from the village Boulangerie, I headed out of town following the cycle trail signs towards Forcalquier. Almost immediately the trail took me away from the main road onto a stretch of newly-built cycle-route, which passes through fields, before re-joining a quiet lane that continues on towards Reillanne. The lane climbs gently before dropping into a clearing, where there is a beautiful, restored Priory. ‘Le Prieuré de Carluc’. 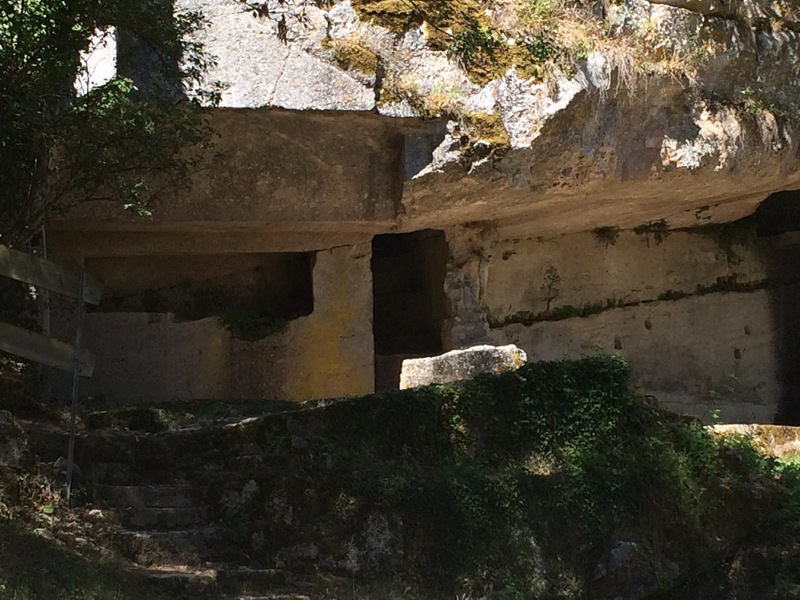 Notices at the site mention that it was first documented in 1011, extended in the 14th Century, but subsequently fell into ruin & was acquired by the Cereste community in 2000. Certainly the ancient rooms built into the rock face gave a sense of its previous importance and it was evident that a lot had been done to restore the main building to its former glory. It was here that I met the first dog of the day, an apparently rather lost hound, who seemed keen for a bit of company & sat with me for a while, whilst I had a quick drink! Not the most chatty companion I’ve had! Sadly the dog & I soon parted company & before long I found myself cycling up through the village into the unexpectedly large main square at Reillanne. 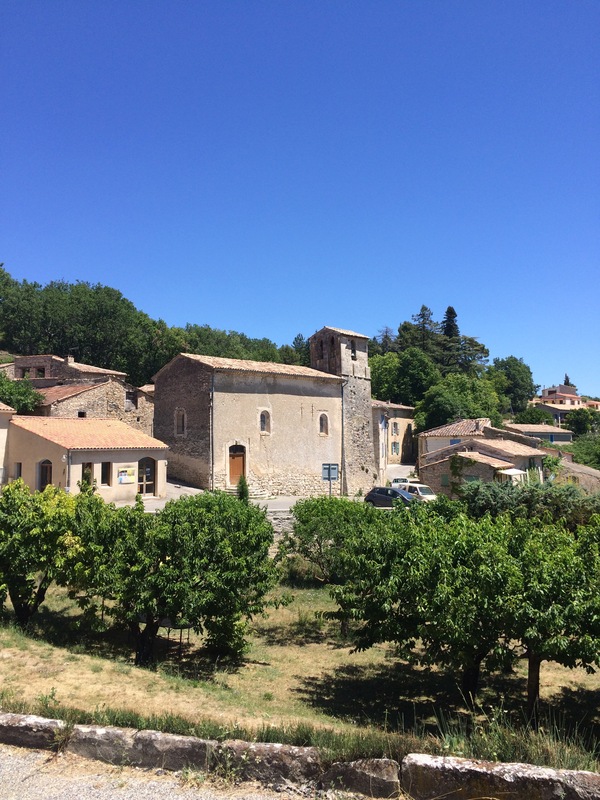 I’m not sure of the history of Reillanne, but it has a beautiful old Church built above the village and a main square that wouldn’t be out of place in a town the size of Apt. The monument in the centre of the square was sporting a rather bright woolly hat, certainly not required with the temperature in the mid 30’s (although a lot of lamp posts had woozy covers too!) and I sat for a while in a shaded cafe, watching the world pass by. A perfect fit! Although, I would suggest, slightly overdressed for the weather! 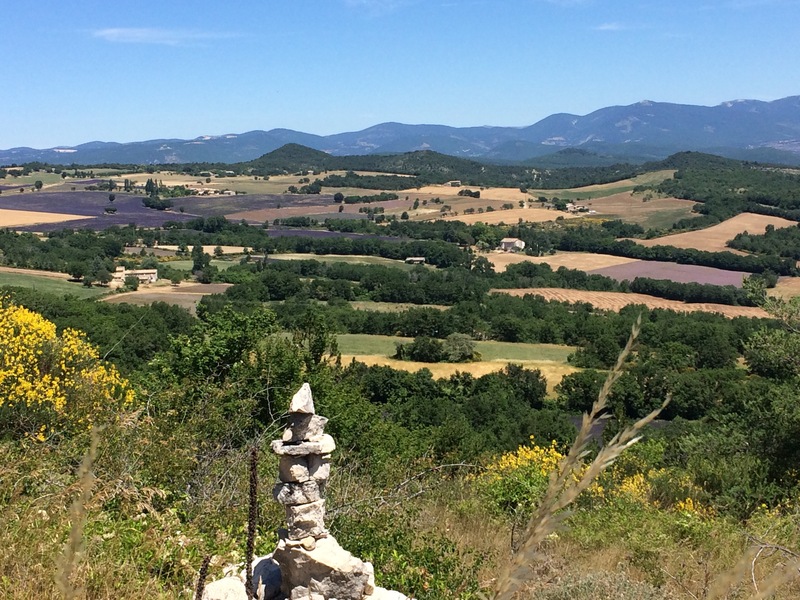 Now one thing that is certain around here is that all the roads tend to head uphill & the route to Vachères was no different, climbing gently for about 8 kilometres through woodland and with the heat of the sun I was very pleased for the shade. 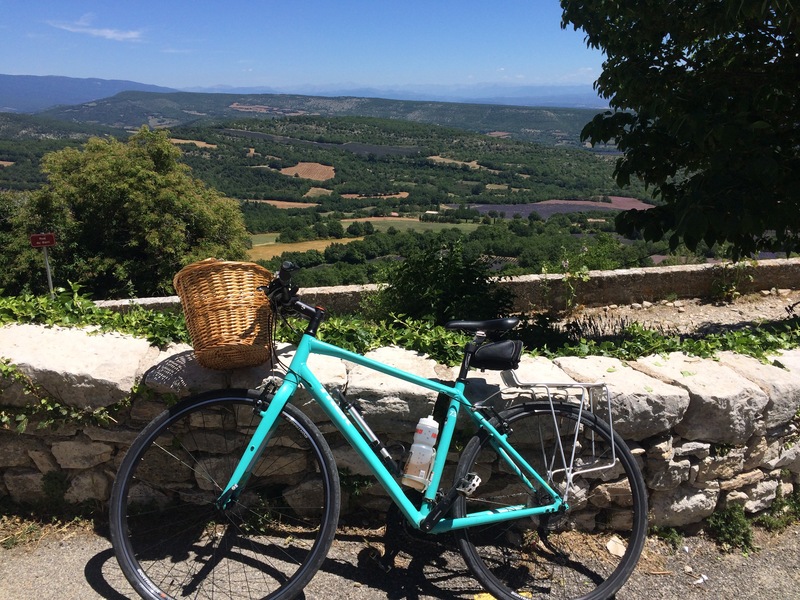 The climb though is worth it as all of a sudden you cycle beyond the trees and are stopped in your tracks by the most incredible views towards the Alps. On my rides I have loved the views, but these were particularly breathtaking and it was even possible to see the flash of white from snow still sitting in some of the shaded gulleys. I just had to stop & stare it was just so incredibly beautiful. 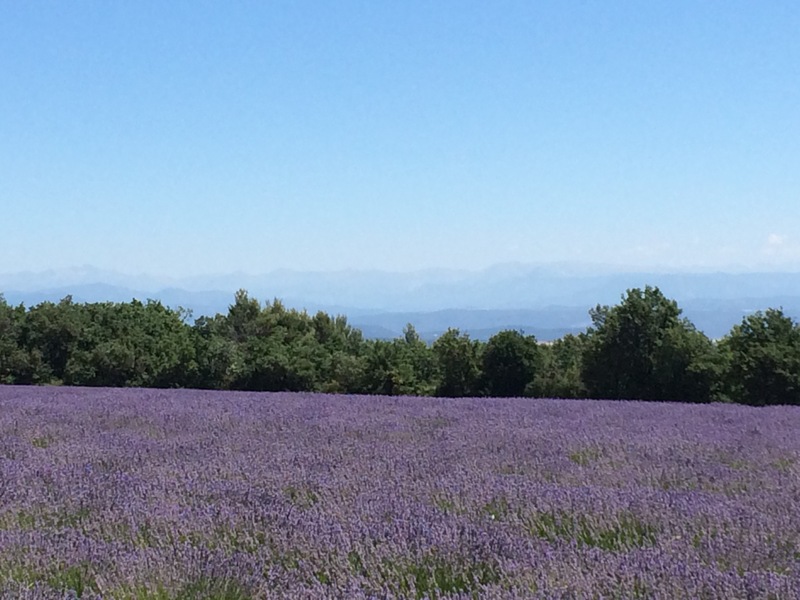 This photo certainly doesn’t do tye view justice – suffice to say the grey is the Alps & they were stunning ! Certainly looking out from the village I couldn’t see anything that would interrupt the view of the stars and would love to return one night to experience it first hand – that is if ever I manage to stay awake until after dark! 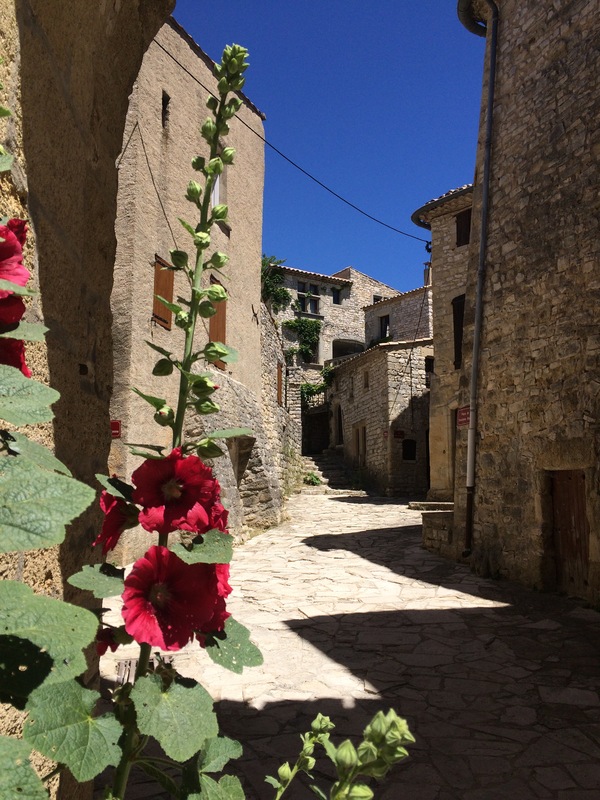 Vachères itself was a very pretty village to visit, golden stone buildings with hollyhocks growing in the gutter. 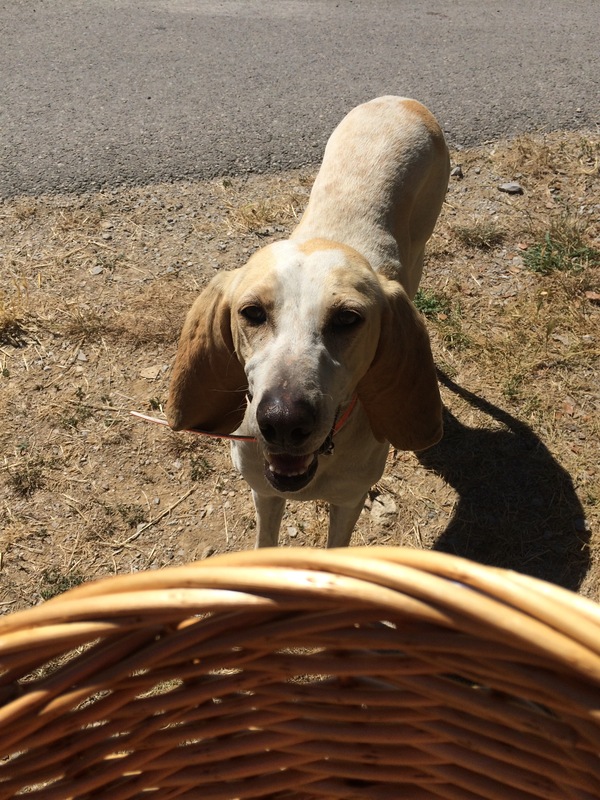 Strangely enough & with that still in my mind I bumped into my second dog of the day. Clearly digs felt i needed a bit of company today! This time a friendly, but slightly scruffier dog, who sat at my feet hoping for a scrap if my sandwich. When I went to cycle on, he came too – following me for quite a way out of the village, only turning around when I stopped to have a look at a roadside memorial & he realised any chance of food had gone. 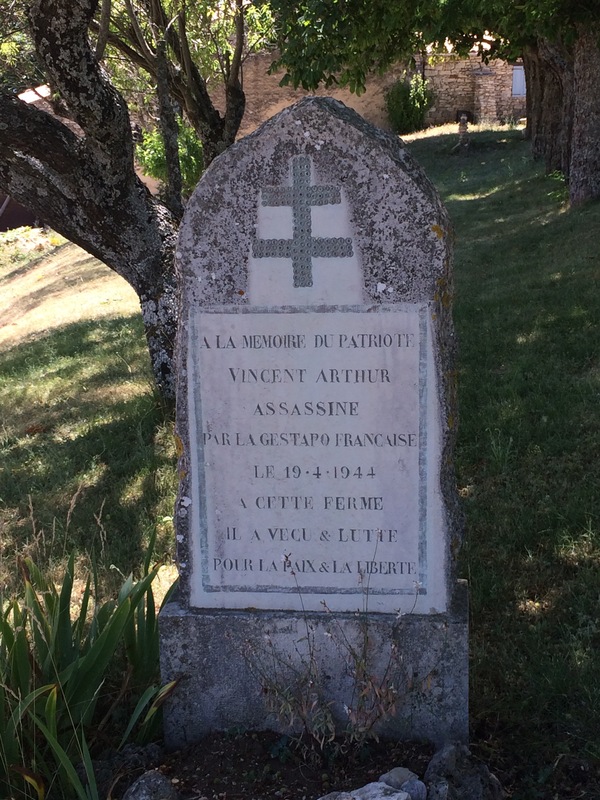 The memorial was one of two I saw on the way down – this first had been placed in the garden of a farm, where in 1944 a local man had been assassinated by the ‘French Gestapo’ – after a bit of research it appears that the farm was set on fire & the owner (a disabled man ‘Arthur Vincent’ was shot & killed for assisting the local Resistance. An unexpected and sad reminder of a recent very dangerous time, so out of kilter with what we all live about the area today. 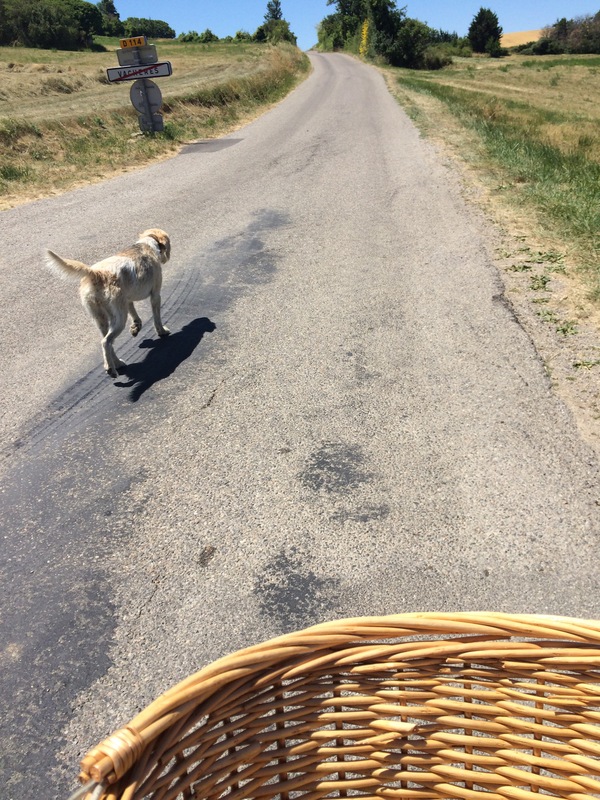 After leaving the dog behind I headed downhill to Saint-Croix-De-La-Lauze and beyond, finally joining the road that heads towards the Gorges D’Oppedette, turning back to rejoin the cycle route towards home. Of course this wasn’t exactly the short cycle I thought I’d be doing, but it really was well worth the slightly tired legs for the views that just made me stop and stare. 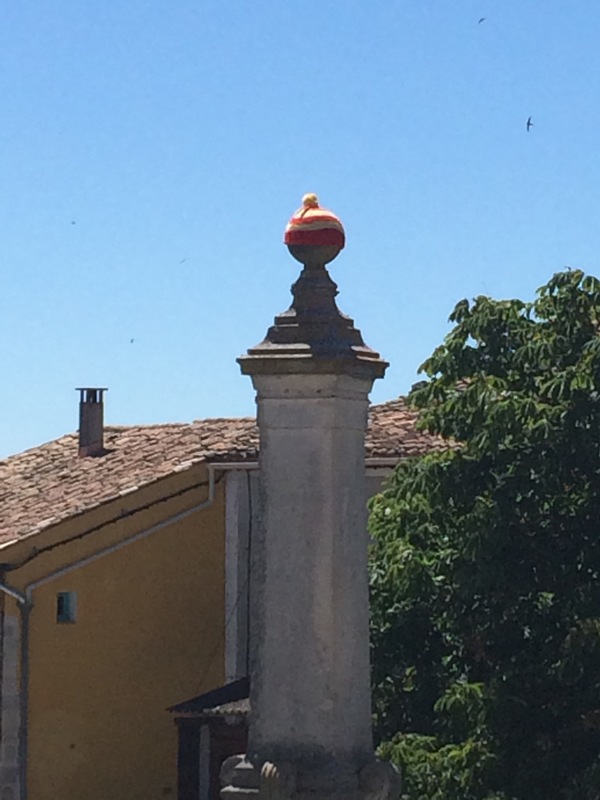 Next Post Watching the Tour de France on Mont Ventoux – What a day! 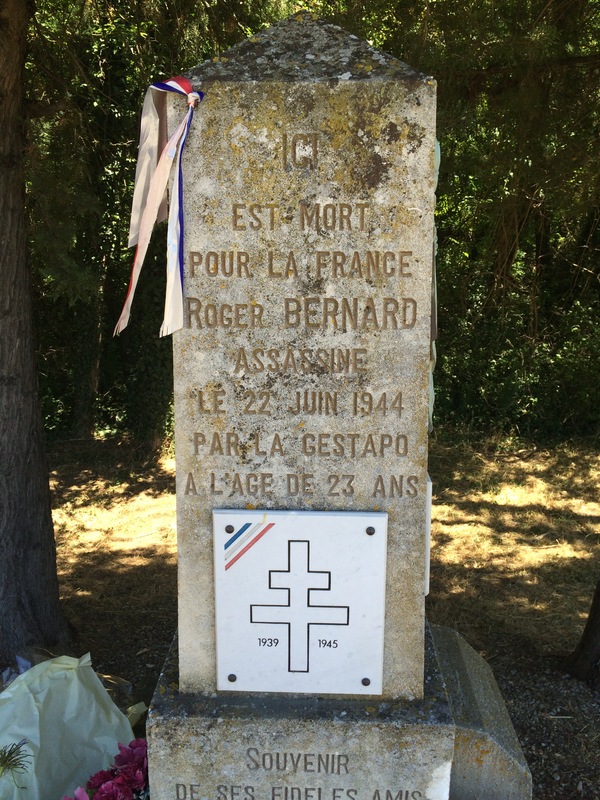 Beautiful and, yes, moving to think of the sacrifices of the past. Does it ever feel too lonely on these tracks by yourself?